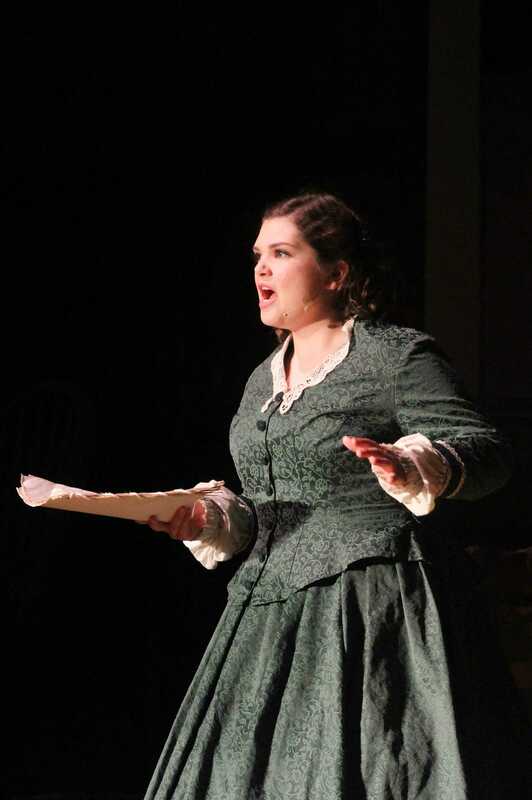 Ventura High School’s auditorium lights dimmed as the last few people scrambled to their seats to witness the seventh and final production of “Little Women” this past Saturday evening. Ventura’s theater department has been preparing for this production since January, and the musical first hit the stage on March 10, opening with a better than expected turnout, as well as closing on a high note. 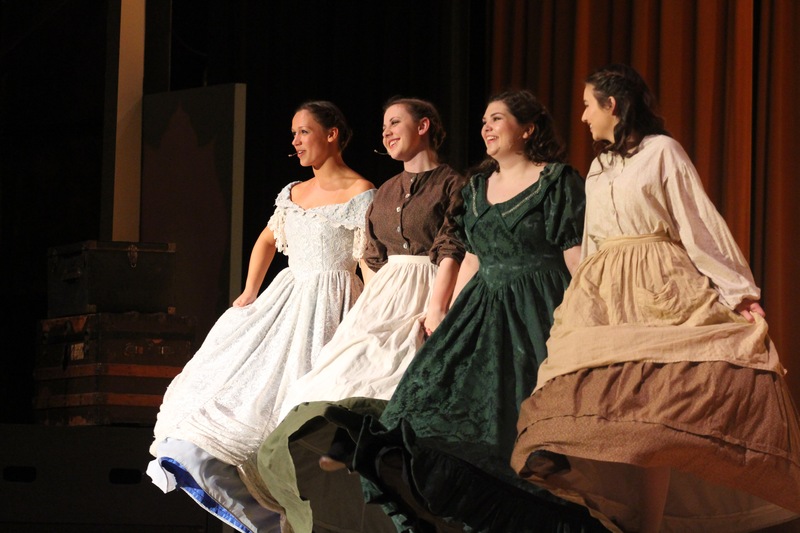 Directed and choreographed by Stefoni Rossiter, Little Women was an endearing rendition of a Broadway classic. “As you carry on in your daily lives, experiencing the joys and heartbreaks of life’s lessons, may you celebrate all your days of plenty and continue to fan the fire within you,” Rossiter continued. The musical takes place in the 1860s and follows the lives of four sisters – Meg, Jo, Beth and Amy March – who mean the world to each other. This is senior Claire Winch’s fourth musical; she’s been actively involved in the drama department since freshman year. Jo has a passion for writing and aspires to have her novels published someday after receiving rejection letter after rejection letter. She is the glue that holds the March family together while the girl’s’ mother, who serves as a Union chaplain in the Civil War, is away visiting their father. Jo is unique in the sense that she refuses to be anything less than herself, or conform to the traditional female conventions of society. She is independent, full of life, and always willing to conquer anything that stands in the way of achieving her hopes and dreams. Meg March, the oldest sister of the four, is played by sophomore Amanda Malotte. Meg is much, much feminine than Jo and enjoys the luxuries in life, yet ends up falling in love with a poor man. Senior Ciara Montemayor plays Beth March – a reserved, quiet, and shy young woman who is constantly trying to please others and who is concerned with keeping her family together. She resembles Jo on both the inside and outside, as well as maintains an unbreakable bond with her. Amy March, the youngest March sister, is played by sophomore Riley Conrad. She strives to be popular and get invited with her older sisters to fancy balls. Amy acts in a ladylike manner, however, when things don’t go her way, her true, sinister, side shows itself. “They’re [the cast] just so fantastic. They were so on the ball and they tried little things that they hadn’t tried before that really just enhanced the show and just made it the best,” stated Winch. Winch encourages anyone and everyone who has a passion for theater and the arts to get involved and start forming those connections. The VHS drama department did an excellent job encapsulating these complex characters’ attitudes, mannerisms, and actions throughout the entirety of the performance. The show was full of musical numbers like “Our Finest Dreams,” “Delighted” and “Some Things are Meant to Be,” which kept the audience engaged and eager for what was to come. As the vocal music director, Heidi House taught the cast the songs, the harmony, the melody, and put it all together with the music. “Every performance has its uniqueness. I think tonight was outstanding. I come to every show, so I love seeing differences in every show. Sometimes one song is a little bit better and the next time it’s not so much, but it’s the growth of these actors that’s amazing,” House added.